NOTE: This package includes 10 units of the HTSM1 Scene Monitor. 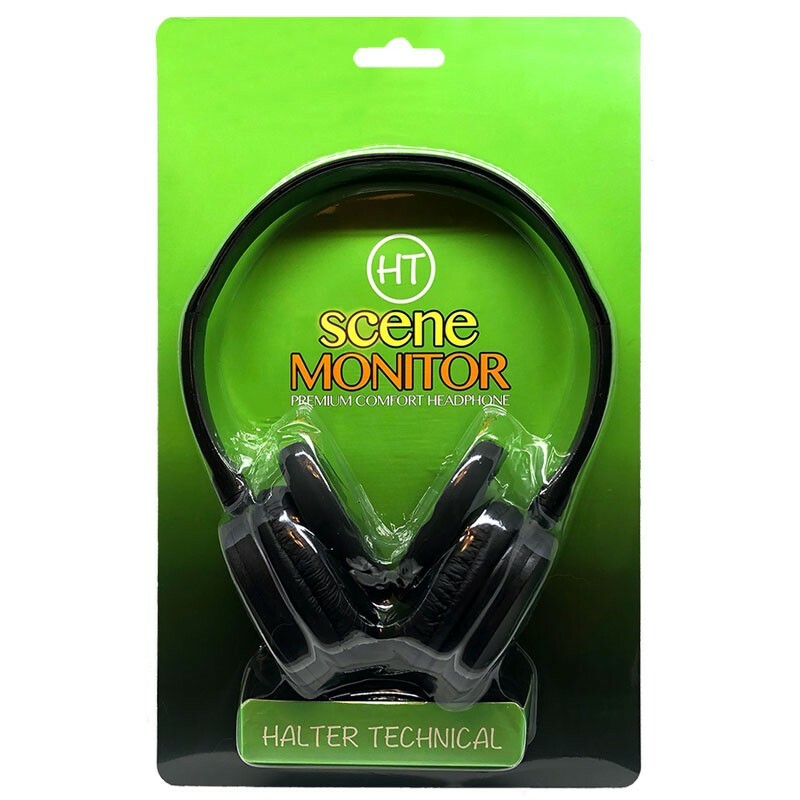 Halter Technical designed the Scene Monitor Headphone for those who need a comfortable headphone that won't weight you down during the work day. Whether on set, on location, or in an office, the Scene Monitor will allow you to do what your work. Included with every Scene Monitor are two sets of ear pads. 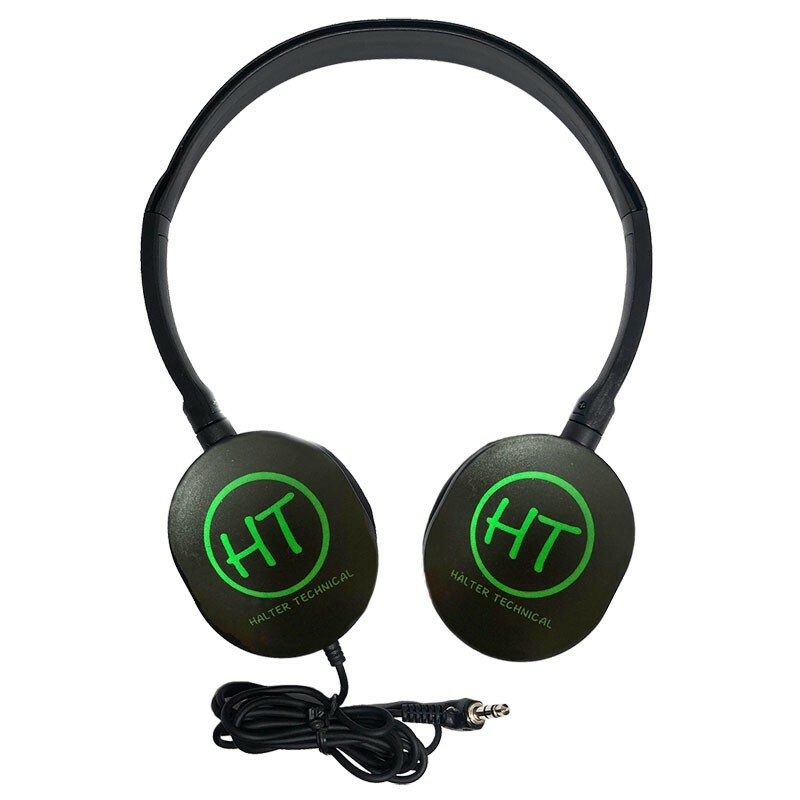 The silicone ear pads are very durable, and easy to clean and maintain. 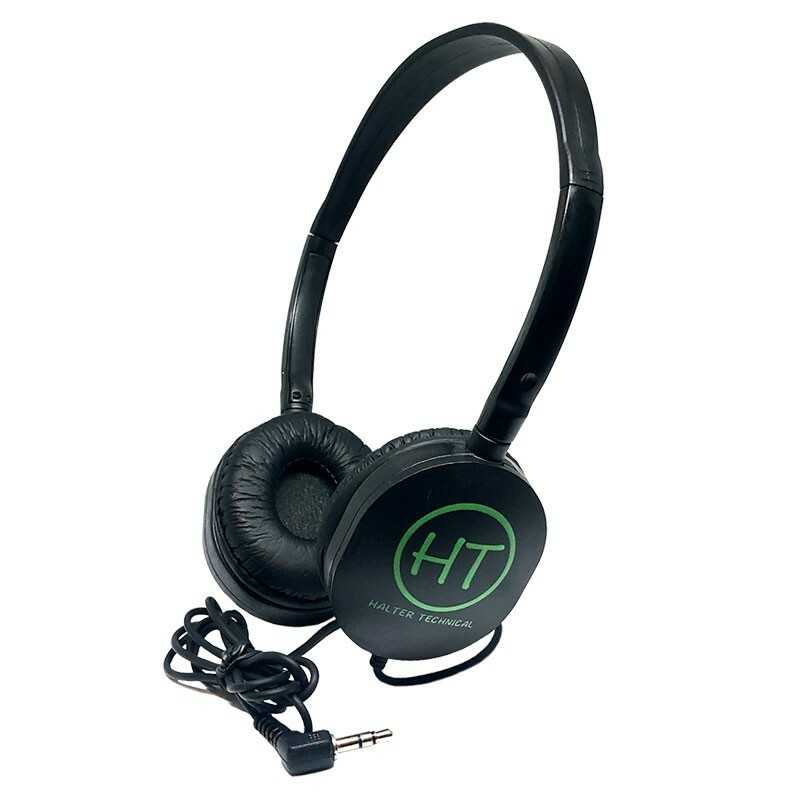 The leather earpads offer a luxury aesthetic and appeal. Because the speakers on each Scene Monitor twist to flatten out, it's a breeze to store multiple Scene Monitors together. The single cable is 3-feet in length, and won't kink or snag like a coiled cable will.